This is the page for the Meriden FD. They have 8 engines (5 front line, 3 reserve), 2 ladders (1 front line, 1 reserve), 1 rescue, 1 haz-mat prime mover and 5 stations. 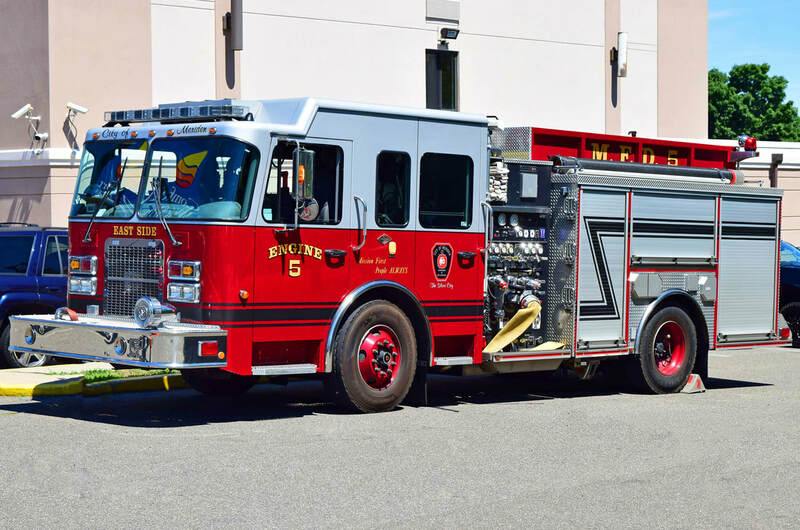 Meriden's Engine 1, a 2002 E-One Cyclone ll. 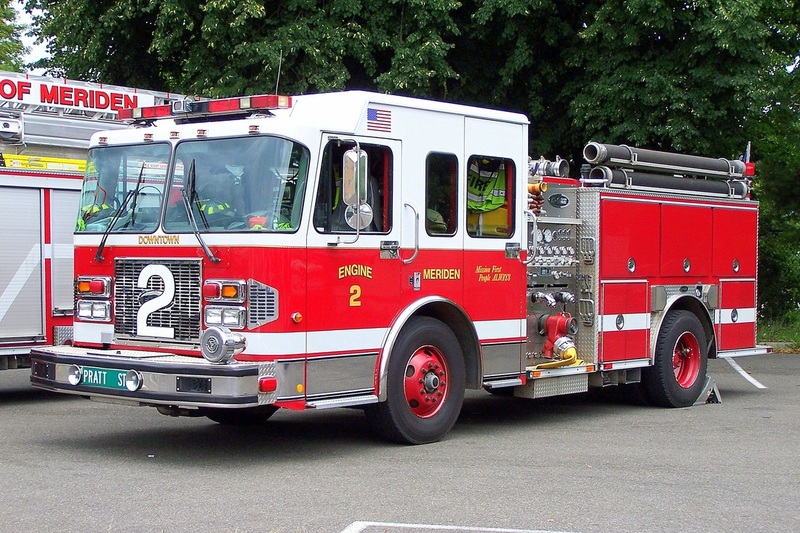 Meriden's Engine 2, a 2000 Spartan/E-One. Update 7/2018: This truck has been replaced by a 2017 Spartan/Smeal. Meriden's Engine 3, a 2010 Seagrave Marauder. 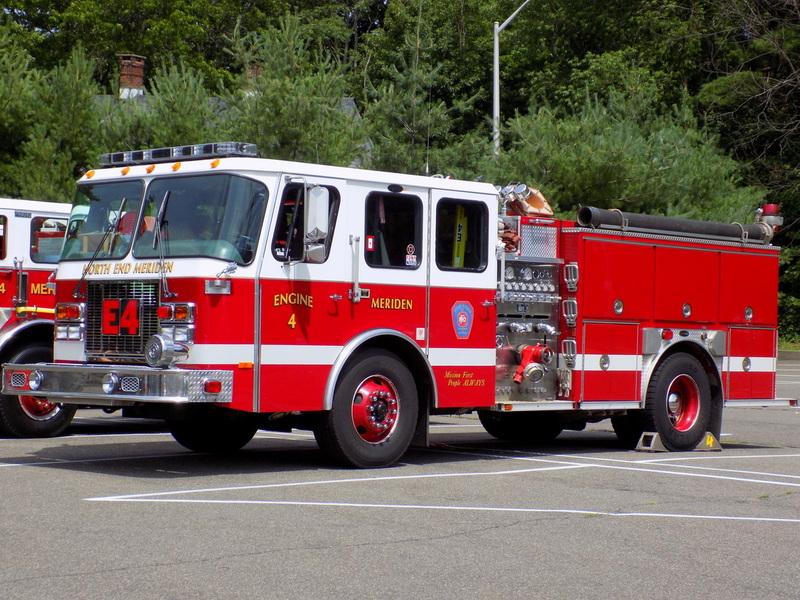 Meriden's Engine 4, a 1998 E-One. 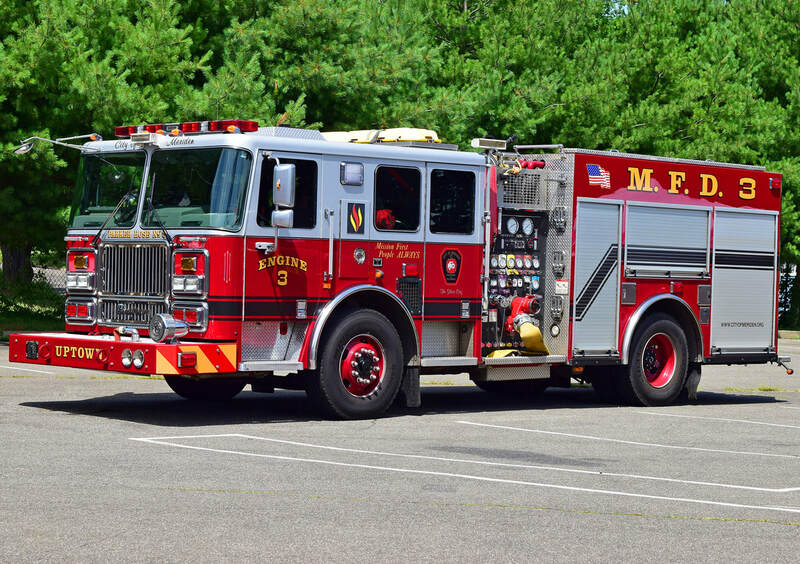 Meriden's Engine 5, a 2008 Spartan/Crimson (former South Kingstown, RI purchased 2015). 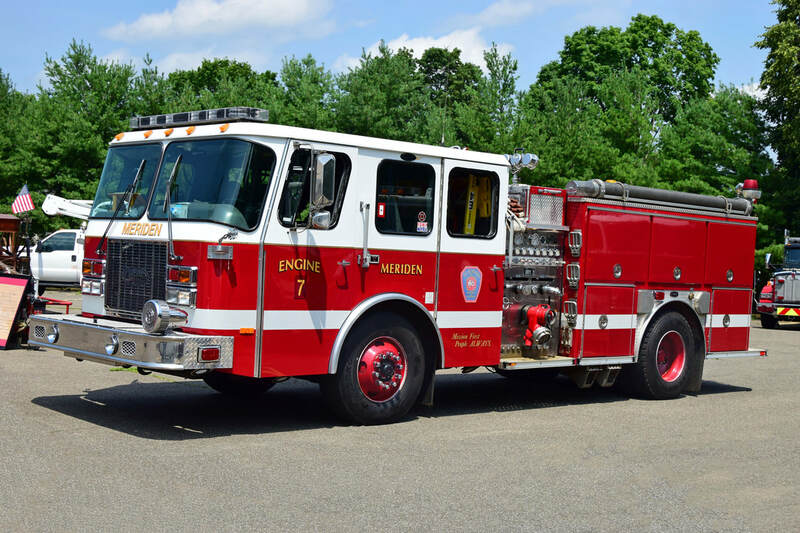 Meriden's Engine 7, a 1997 Pierce Saber (ex Farmington E4, purchased 2017) (Reserve). Meriden's Tac 1, a 2008 Freightliner/Mickey. Meriden's Tac 2, a 2005 Freightliner/Pierce prime mover haz-mat truck. 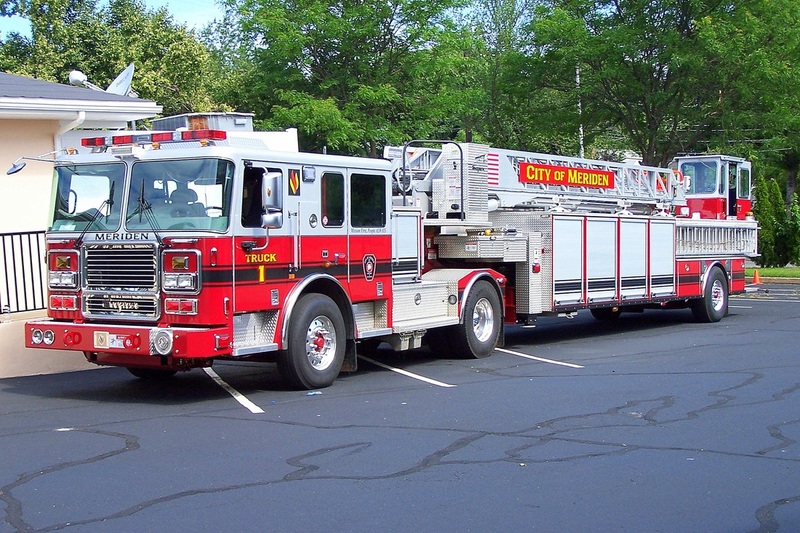 Meriden's Truck 1, a 2013 Seagrave Marauder II 100ft TDA (tiller truck). 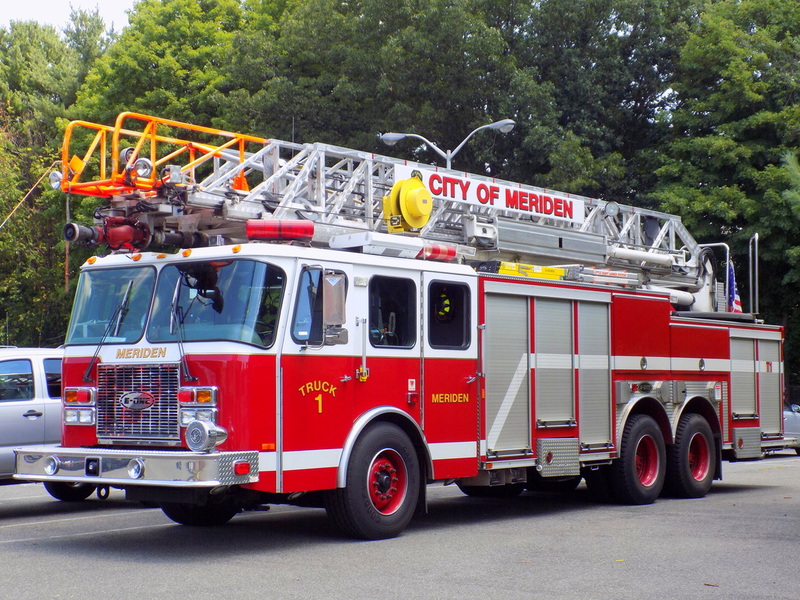 Meriden's Truck 101 (RSV), a 1999 E-One Cyclone II 100 ft RMA ladder truck. Meriden's Station 2 at 61 Pratt Street in downtown Meriden. Stationed here are: Engine 2, Truck 1, Truck 101 (RSV), and Tac 1. Meriden's Station 4, located at 260 Sherman Avenue in Meriden, CT. Stationed here are: Engine 4 and Engine 104. Meriden's Station 5, located at 1075 East Main Street (Technically Pomeroy Avenue, not East Main Street) in Meriden, CT. Stationed here are: Engine 5 and Tac 2.